As you may know, quite a few of our Elementary Entouragers have been pretty busy strolling the strip and taking in the sights of Las Vegas, Nevada. However, during the day, we've been soaking in a ton of TpT knowledge throughout the different courses at this year's Teachers Pay Teachers Conference. As Drew Carey once said, "Everything and anything you want to do, you can do in Las Vegas." When he said that, I doubt he knew he would also be referring to meeting all of our fabulous blogging friends and TpTers! 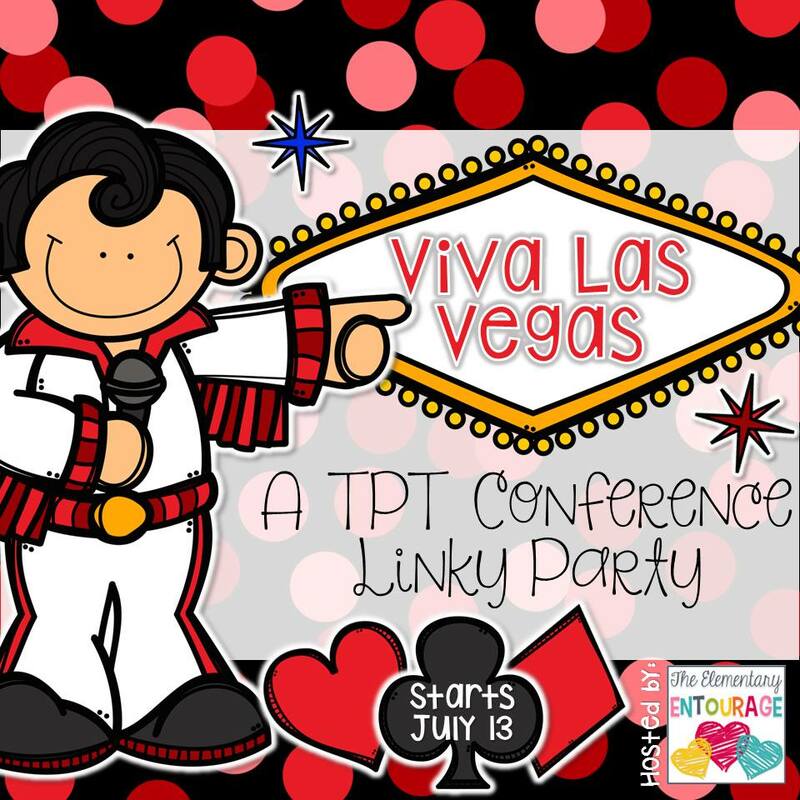 For the rest of July, we're hosting the Viva Las Vegas linky party where all of the Elementary Entourage will be sharing some of the fun we had together! For one week, we're asking that bloggers who also want to share their exciting times to link up with us! We can't wait for you to see all of our fun and slightly crazy experiences meeting so many inspirational teachers! If you would like to link up with us, you can anytime until next Monday, July 20th! Thanks for the opportunity. 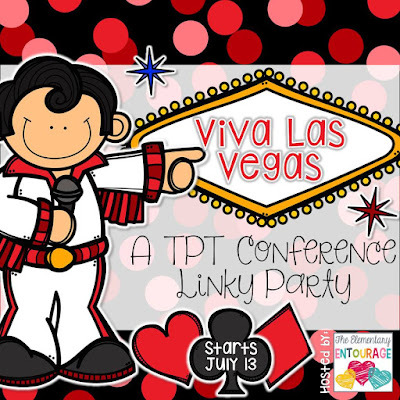 The Vegas TPT conference and meet-ups were amazing! You're welcome! Thanks so much for linking up with us! Thanks for hosting the link up. 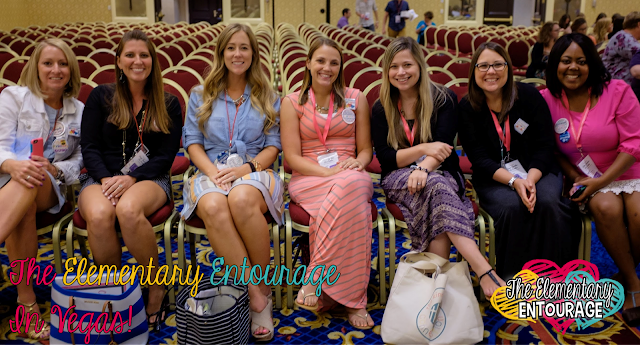 Vegas was great, especially getting to collaborate with other bloggers. Thanks for bringing that collaboration home. We had a great time in Vegas too! Thanks for linking up with us! We are excited to hop through too! Thanks so much for stopping by Julie and for linking up! Started hopping ..... Thank you for setting this up so we can get connected and know each other better. It's so fun looking at all the experiences....some things alike, some things different! We can't wait to read all of these fabulous posts and see the different experiences! Thanks for stoppibg by, Annie! Thank you for hosting! I can't wait to read the other posts! Thanks for linking up, Sarah! We had such a great time! Great link up!!! Thanks for hostessing! Fabulous to hang out with y'all in Vegas! Thank you for hosting the linky. What a great time everyone had in Vegas! Thank you for organizing this blog hop! I'm enjoying reading everyone's posts and seeing all of the pictures! You're welcome! Thanks for stopping by and for linking up with us! Y'all are adorable!!! I will try to get motivated and get my post up soon!! We would love for you to link up! Thanks, Deanna! Thank you for organizing this great link up! I had so much fun in Vegas, and meeting up with so many of you! We're so glad you could link up with us! Thanks! Thank you for this Linky...sorry I was so late to the party! I look forward to reading everyone's reflections on an amazing few days! Thanks for linking up, Nancy! !